Well, it’s now here! After talk of a vague February release date and much speculation, Piranha Plant has now been added to Super Smash Bros Ultimate! It’s all pretty easy to do, and means you’ll have the character in no time. But is it worth it? 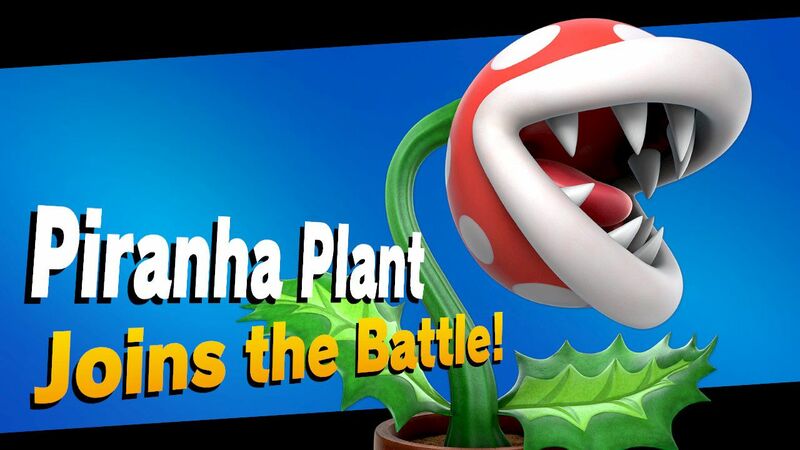 How is Piranha Plant as a playable fighter? Well it’s okay really. Its moveset is certainly creative and some moves have quite a bit of potential (both Ptooie and Poison Breath have interesting applications in matches), but it also struggles to KO opponents at low or medium damage. Meanwhile, while its recovery is pretty good (Piranhacopter covers a lot of distance here), it’s also a tad on the bulky side, with its speed being average and its weight being one of the highest in the game. So it’s got its pros and cons overall, and will certainly fit certain playstyles more than others. But hey, it’s free. And given how well its integrated into the core game (with its own Classic Mode route, All Star Smash appearance, Fighter Spirit, etc), it’s certainly worth checking out for that stuff alone. Get it now if you’re interested.